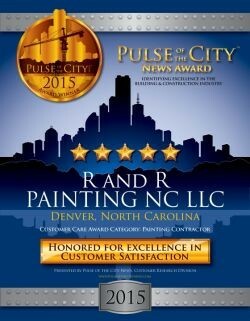 "Your Locally Owned Painting Company"
R and R Painting NC LLC has been proudly painting Huntersville area homes and businesses since 1977. 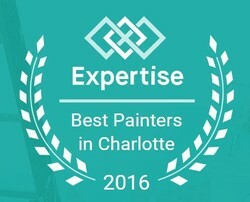 Serving the Lake Norman and North Charlotte areas of North Carolina for over 42 years, we have experience satisfying all of the interior painting and exterior painting needs of every client in a favorable and sound process. It has been our mission since 1977 to provide complete, professional, affordable residential and commercial painting service to home owners, tenants, and business owners in the Huntersville, NC area. Here at R and R Painting NC LLC, we have the most friendly, and professional painters on staff year-round that have over 42 years of experience. 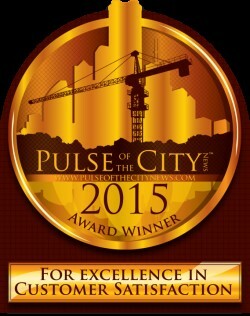 We pride ourselves on providing the Huntersville area with durable and reliable painting services. We are happy to help you choose colors to make your Huntersville painting job beautiful. 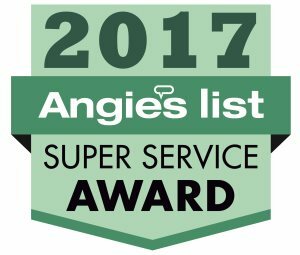 When your home or business thirsts for top-notch painting in the vicinity of Huntersville, count us in for the highest caliber customer service! Here at R and R Painting NC LLC, we have the most friendly, and professional painters on staff year-round that have over 42 years of experience. 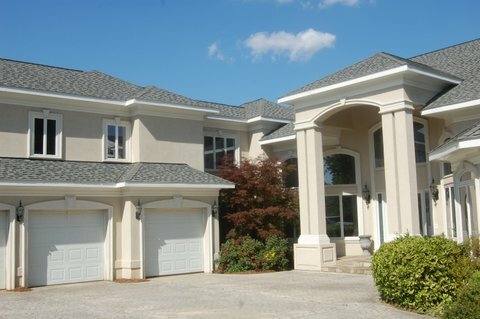 We pride ourselves on providing the Huntersville area with durable and reliable painting services. 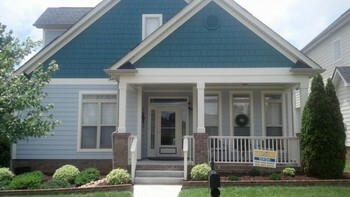 We are happy to help you choose colors to make your Huntersville painting job beautiful! With over 42 years of painting experience, the professional painters at R and R Painting NC LLC understand the importance of preparation. We always properly prepare all surfaces before painting, including pressure washing, scraping and sanding as needed. Then, our Huntersville painting service is always thorough. We offer many painting services including ceiling painting, wall painting, deck painting, deck restoration, deck staining, trim painting, moulding painting, fence painting, and much more! We love painting Huntersville! All of our work is guaranteed. It is our goal that each and every customer be happy and proud of their newly painted home or office and show others our superior work. 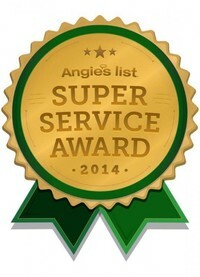 Call (704) 774-6485 for a free quote! Exterior painting surfaces are cleaned and scraped to prepare. Then high quality paint is applied when the surface is dry and there will be no rain in the next 24 hours. 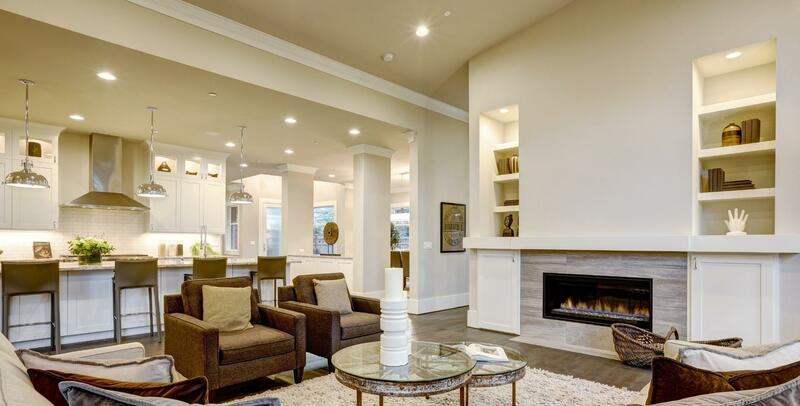 Interior painting surfaces are washed and scraped if needed then usually a superior latex paint is brushed or rolled on to walls and ceilings making your Huntersville area home look new again. Decks take a beating from the elements. Ideally decks should be painted or stained once every one to two years otherwise moss and mildew will grow in the cracks and pores where water collects and is warmed by the sun, yet still protected from direct sunlight. 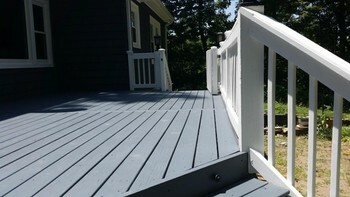 Our Huntersville painters prepare decks by first replacing and damaged or rotten wood and then pressure wash the deck to remove mildew, mold, moss, and dirt. Then a one or two coats of a water proof deck paint or deck stain is applied. And suddenly the deck looks like new again! Cabinets sometimes look worn and beat up after a while. Sometimes, you just need a new, fresh look to your kitchen. Whatever your reasoning may be, R and R Painting NC LLC provides superior cabinet refinishing services. 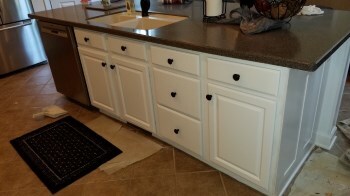 Our experts will have your cabinets looking fresh and new in no time. 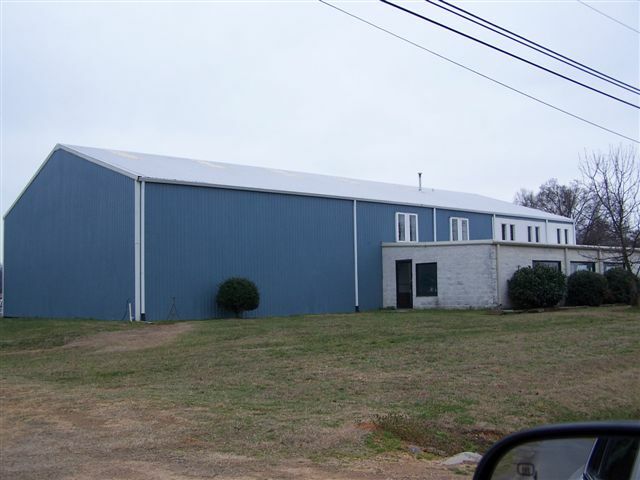 Affordable High Quality Painting in Huntersville.